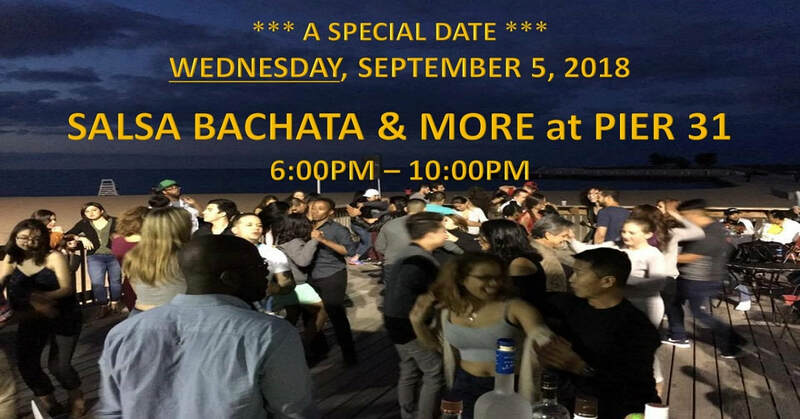 ECI WEDNESDAY SALSA MAMBO BACHATA & MORE AT PIER 31! SALSA BACHATA & MORE AT PIER 31! EVERY TUESDAY! EL CAOBO AT CLUB VIVA IN ST. LOUIS! 31st Street Beachside Bar & Grill (known as Pier 31), the restaurant, is THE place for great food, a cold drink and to visit with friends and family. With an expansive deck looking over Lake Michigan at the 31st Street beach, Pier 31 is just footsteps from the sand, the beach and the boating docks. Go for fun in the sun or to wind down after a hard day at the office.